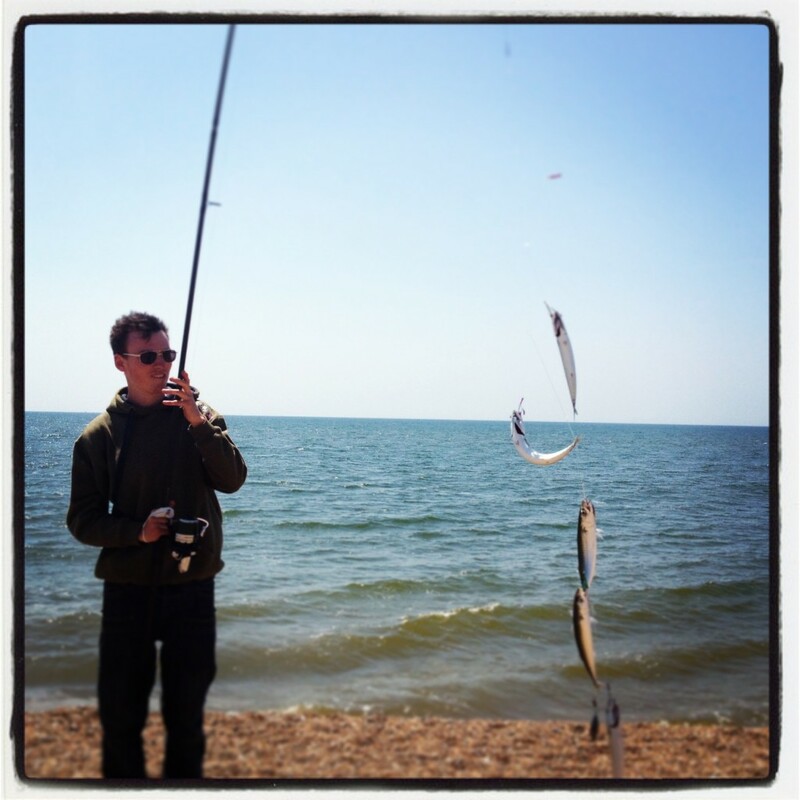 Despite the May water, fishing has been reasonable Dorset. Even the Mackerel seem to be around in good numbers at the Portland end of the beach. Sam Ritson sent me his entry for Fish of the Month it clearly shows that he was able to catch Mackerel despite the amy water. I fished all day yesterday on lures and had a great day. Plenty of Wrasse on soft plastics around the Bill. I was amazed at the amount bait fish around. I spotted thousands of small Sandeel and the bird activity suggested that there was a lot of Bass around. If the May water does not get too thick then fishing should be good this weekend. Nice tides and NE winds will make Chesil a pleasant option. Weymouth Bay: Wavelets with slightly coloured water. Portland: Good Wrasse fishing and some nice Pollock around dusk. Lots of bait fish around the rocks. I would reccomend getting out with lures. Soft plastics will work for Wrasse, Pollock and Bass. Portland Harbour: Plenty of fish showing in the harbour now. Bass and Flounder from all along Hamm Beach and the marina area. Weymouth Bay: This area has not been so badly effected by the may water yet. No great reports of anything special from there but the Stone Pier continues to produce lots of different species. Thin Lipped Mullet all seem to have moved up into Radipole, but there are a lot more Thick Lipped Mullet around now. Hi, Following your reports I went down to ferry bridge with the fly rod and had an entertaining couple of hours with the Gar Fish, few Bassy follows but nothing latched on….try again in the evenings. Nice one Trevor, I have not had my fly rod out on salt water yet this year. Please what is May Water?? It is an algae bloom the normally occurs in May, but due to the colder than normal water temperatures it is later this year. water bloom, dense aquatic population of microscopic photosynthetic organisms produced by an abundance of nutrient salts in surface water, coupled with adequate sunlight for photosynthesis. The microorganisms or the toxic substances that they release may discolour the water, deplete its oxygen content, poison aquatic animals and waterfowl, and irritate the skin and respiratory tract of humans. Single species of algae, diatoms, or dinoflagellates, reproducing every few hours, may dominate a blooming population; the number of individuals per litre (quart) of water may range from 1,000 to 60 million. The scientific way of saying things, if it is the algae on Dorset waters? Thanks for that comprehensive explanation Brian.